Thanks for keeping me up to date with Bella’s wellbeing. We have a very powerful bond and I really miss her and often think about how she is coping, but I know she is being loved and well looked after. 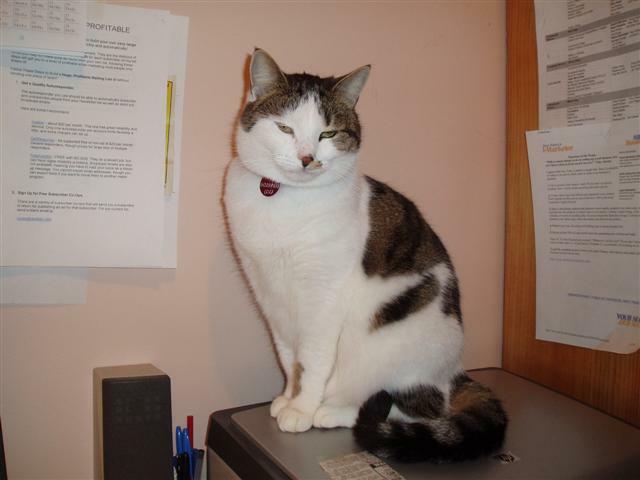 Bella the psychic cat on the computer printer waiting, sometimes for hours, for an email from Paul. Bella does the same with the phone. She can sense it. Tomorrow I will move on to the Kullu Valley, which is a 10 hour bus trip further into the mountains. I love this area around McLeod Ganj and I have learnt so much from my yoga, massage and Buddhism courses as well as keeping up daily meditation practice. But I realize I have spent an entire month here now and am becoming a bit restless and want to tray some overnight treks in the mountains and the Kullu region offers many guided treks. Also, it has been quite wet here with the monsoon arriving early this year, we’ve had many thunderstorms. I’m hoping it will ease off the further I travel into the mountains.Please give my love to the family.